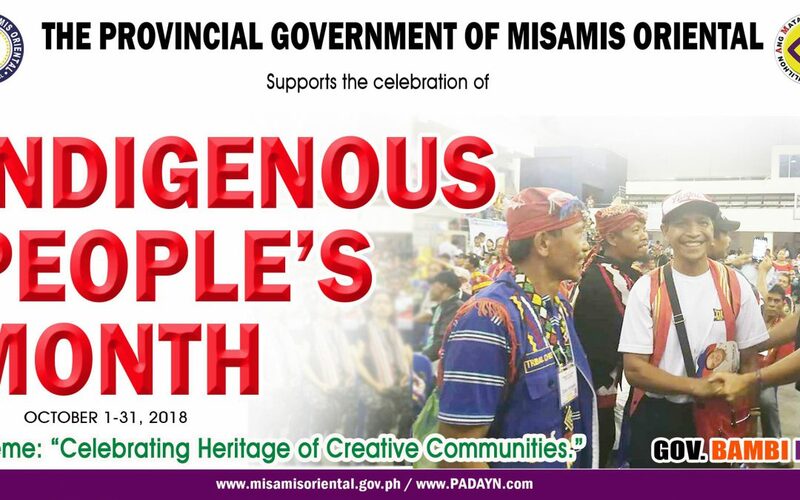 The National Indigenous People’s Month is celebrated every October as per Presidential Proclamation No. 1906, and series of events are being held to revel the cultural wealth and heritage bestowed upon the Filipinos. For 2018, DAYAW: biggest gathering of indigenous peoples, highlights the month long festivity of celebrating indigenous culture. This year’s celebration theme, “Celebrating Heritage of Creative Communities.” This is an opportune time for government workers and administrators, as well as policy makers to gain comprehensive knowledge and undertakes on safeguarding and reinvigorating intangible cultural heritage intended to raise cultural awareness, advance cultural sensitivity and nurture sustainable development-orientation.